Well this presents an odd opportunity: the chance to talk about two very different bikes in the same article. 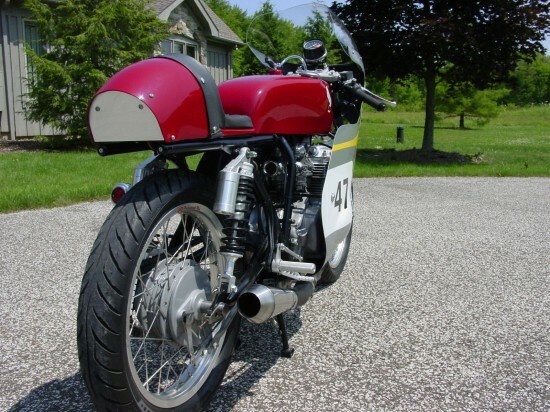 This 1973 Honda CB350F has been fully rebuilt to resemble the RC166 Grand Prix bike of the mid-1960’s. I used to see a guy at the Trader Joe’s in Los Angeles all the time who rode a bike like this one, all clad in black leathers and a replica “puddin’ bowl” helmet, the vintage-racer equivalent of the ubiquitous Harley “skid lid:” just as stupid, but way cooler. 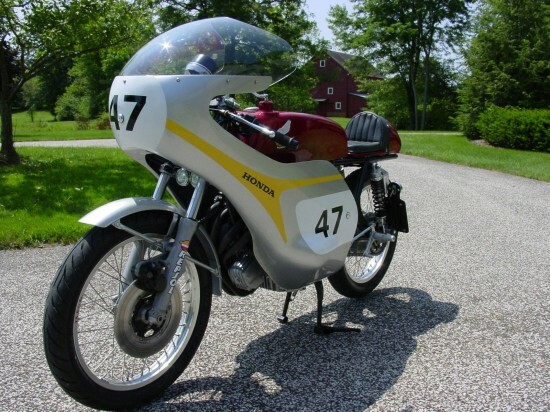 This bike is intended as a replica of Honda’s RC166, an engineering masterpiece, and I’m not sure it succeeds on that front, although it does manage to be a very nice vintage motorcycle with a strong racing style. 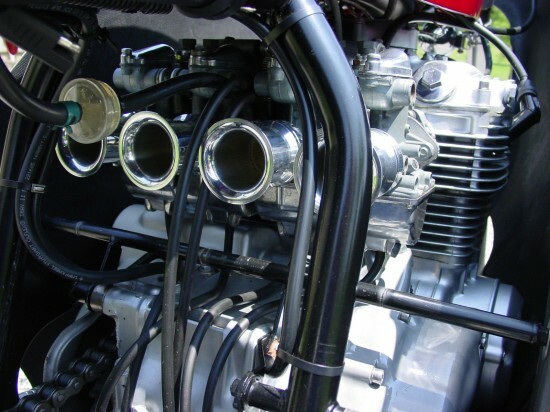 Introduced in 1972 as one of the seemingly endless, smaller iterations of the CB750 four-cylinder, the CB350F was, at the time, a very unusual bike in that most machines this small were twins or singles. The engine was actually undersquare, with a bigger bore than stroke and put 34hp thorough a 5-speed gearbox. 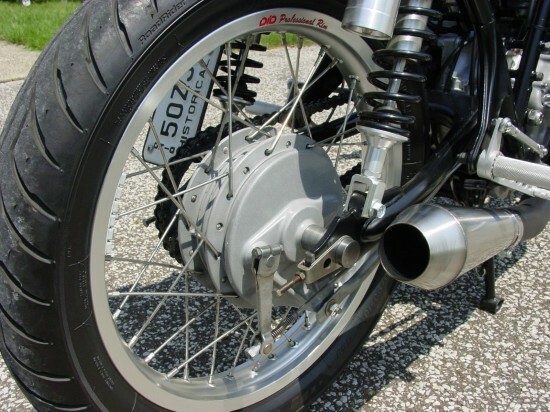 Although there were plenty of other bikes in the class that were lighter and less expensive, including Honda’s own CB350 twin, the jewel-like engineering appealed to a different type of buyer, and the bike’s increased complexity was offset by Honda’s impressively reliable engineering. This ’73 CB350F is fresh out of a full engine-out cosmetic and mechanical restoration from the frame up. The best I can describe is that everything is new except Frame, Engine, Wheel Hubs and the Triple Trees. Here is an example of what’s new on the bike. Avon tires, aluminum rims, stainless spokes, caliper and pads, shock seals and fluid, steel fender, headlights, brake and tail light, license plate bracket, 4 into 1 headers, cone engineering muffler, tachometer cable, clutch cable, throttle cables, clutch lever, throttle assembly, grips, anti vibration bar ends, tapered roller bearing steering neck kit, clip-ons, master cylinder, Airtech-Fairing, seat, seat pan, fuel tank, windshield, chain, rear shocks, rear brake pads, electronic ignition, Antigravity 4cell battery, Antigravity battery charger, regulator/rectifier, velocity stacks, bronze swing arm bushings, point to point wiring. Clean title 14,538 miles. Less than 100 miles since restoration. Has electric start, headlights, tail light and brake light utilizing front brake. 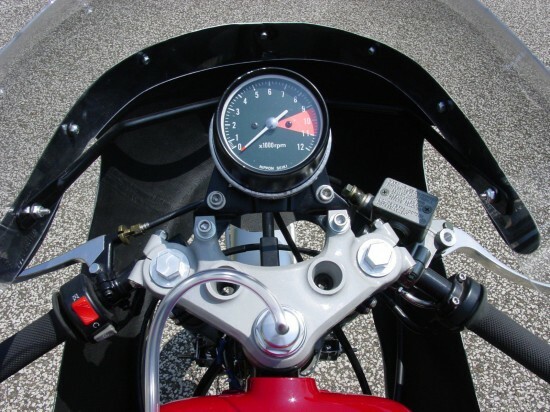 No speedo but in 5th gear 3,000 rpm’s = 30mph. 5,000 rpm’s = 50mph and so on. No turn signals and mirrors. 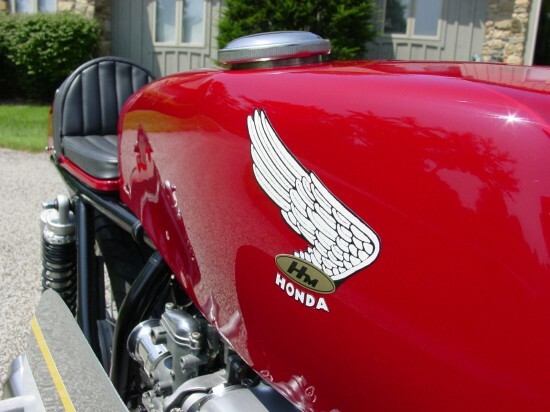 The carburetors were professionally restored and I will provide extra main jets sizes. Engine does not leak oil, had new gasket kit installed along with all new fluids. The numbers on the fairing are vinyl and easily removable if you choose. Compared to the real thing, the tank is suitably long and lean but the whole thing isn’t quite proportioned correctly and doesn’t have the tiny, rounded bum-stop tailpiece of the original. It also, of course, lacks Honda’s absolute shrieking masterpiece of a motor, a straight 6-cylinder, four-valve 250cc machine that belted out 65hp through a 7-speed gearbox. With internals that looked more like the parts of a scale model than the real thing, it’s almost impossible to imagine the skill involved in the creation of this thing in an era before computers and modern manufacturing techniques. 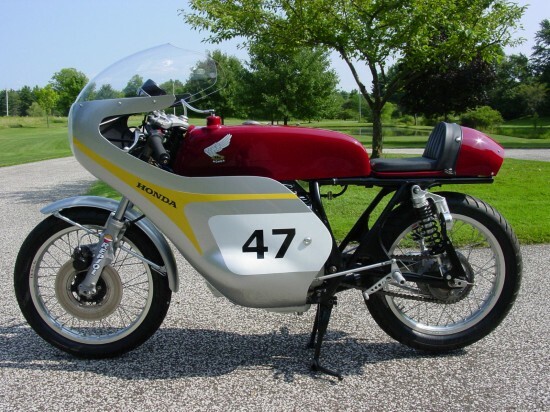 And it worked: in the 1966 250cc world championship, the RC166 won ten of ten races. 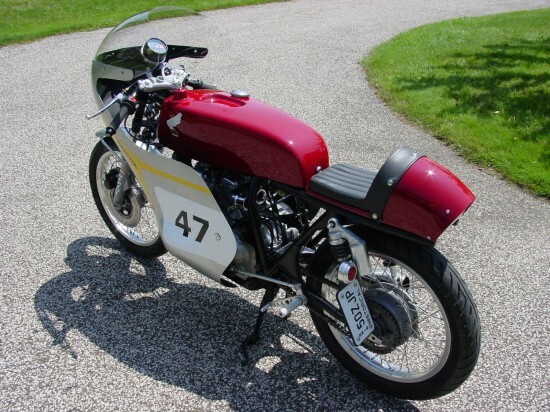 Although at first glance this replica isn’t streetable, there’s space for a number plate, a tail light, and the bike does feature a pair of little projector-beam headlamps tucked up between the forks under the nose of the fairing. The starting bid is $7,400 with no takers yet but plenty of time left on the auction. This is really big money for a CB350, but pretty small money for such a one-of-a-kind custom with a ton of style. 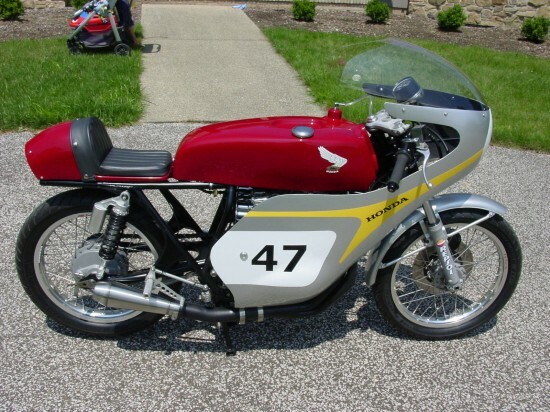 This is a very sweet little bike that is more “inspired by” the RC166 than it is an actual “replica of,” but that’s okay: a more authentic replica would probably be much more expensive, and still wouldn’t feature that awe-inspiring engine.